It’s been a few months since my last blog entry. Within a few days of posting The Flashing Muse – Dots on Broadway, my father passed on, naturally causing my world to come to a pause. In that pause I was able to reflect on how my dad supported and encouraged my passion for photography, which emerged before I noticed girls. From buying my first cameras, to setting up a darkroom in the basement of the family home, and continuing with the development of my abstract, fine art work, my dad was a steady support. 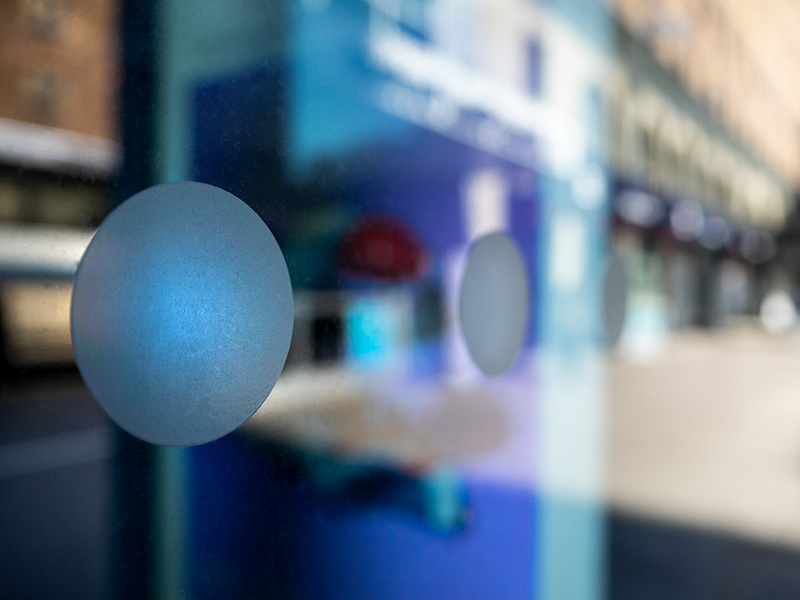 Something else I shared with my dad was a love for a cool and sophisticated shopping experience, no doubt a reflection of the family retail business he raised me in. In the 70s and 80s, we innovated with the integration of art and fashion into the previously staid world of housewares. Colorful kitchen accessories and appliances brought kitchens new life. So I suppose it’s no coincidence that I became inspired in the possibility of turning my work into wearable art. 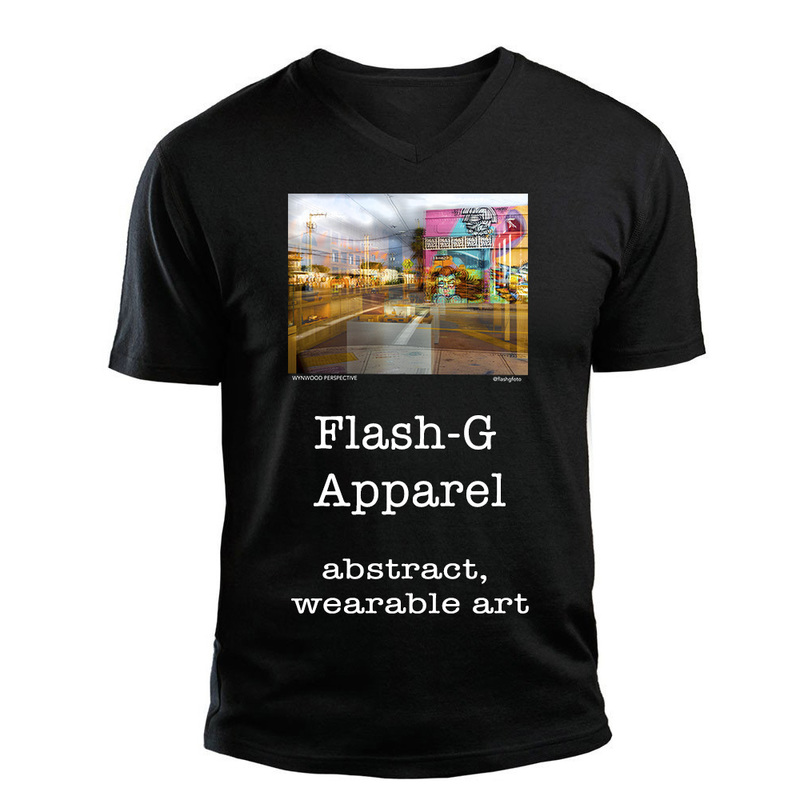 Flash-G Apparel is designed to bridge art+fashion via the imprint of selected images from my collections of abstract photography onto apparel. With advancements in printing technology, it’s now possible to print high quality, full color images to a range of apparel, and home textiles. But no area of fashion is as vibrant today as graphic t-shirts. 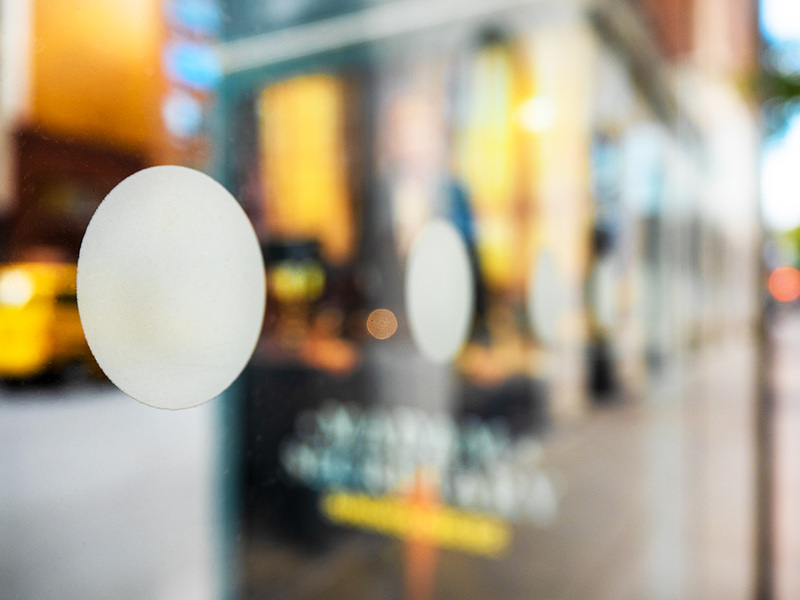 You’ll find them everywhere from Urban Outfitters to Neiman Marcus. 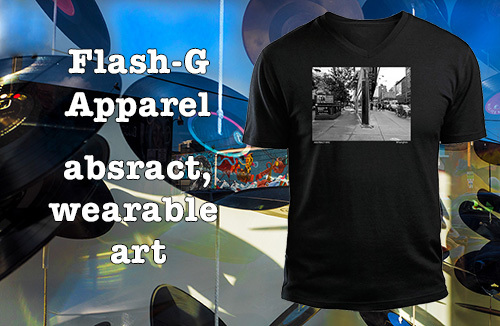 With that, I invite you to take a look at the new Flash-G Apparel website, and see the initial group of images I selected for purchase. With the holidays approaching, this is an ideal gift for any art+fashion lover. There’s a 20% off website launch special, which I’ll run for the holidays. During the Fall I’ve been adding to my developing Dots on Broadway series, which takes an abstract and impressionistic view of New York City bus shelters, with the intention of creating extraordinary impressions of ordinary imagery. I’m going to be pursuing an exhibition based on Dots no Broadway, so I’ll keep you informed about that. Of course, all images are available for printing in a variety of cool and contemporary mounting options. Let me know if you see something you’d like for your home or office.